With cancer on the rise, many people don't know where to turn to avoid Cancer. I have created a presentation to help you and your family avoid cancer. Cancer questionnaire.doc Here is a checklist that will let you know if you are at an elevated risk of developing cancer. Prevent Cancer Presentation.pdf This presentation will help educate you so you can reduce you risk of having cancer overtake your body. 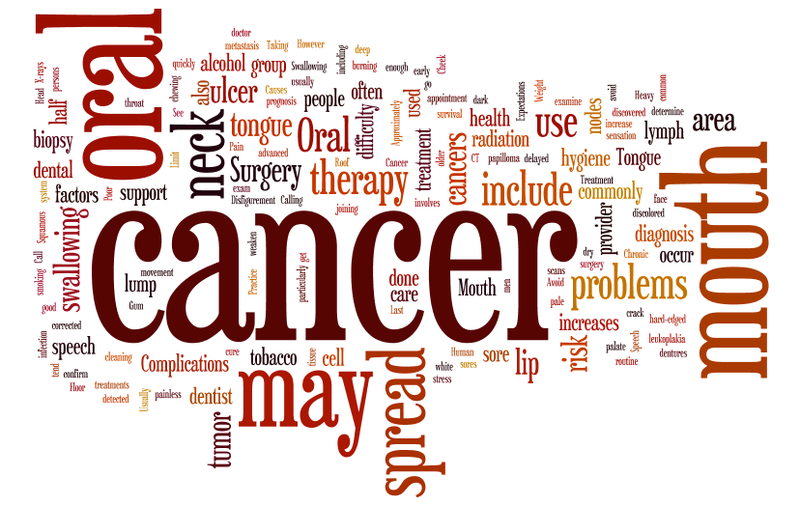 Why do some people get cancer and others don’t is a question many people ask themselves. We all have cancer cells in our body. Some bodies can effectively kill these cancer cells before they mutate, spread and lead to tumors and cancer while other bodies can’t. All of the factors mentioned above reduce the innate ability of our body’s immune system to effectively and efficiently kill cancer cells every day. A research study performed by American Institute of Cancer Research (AICR) revealed some startling statics. 49% of people were unaware that diets lower in fruit and vegetable increases your risk of cancer. 46% of the people did know that obesity was a large risk factor in developing cancer. 37% did know that drinking alcohol increased your risk of developing cancer. 36% of people were aware of red meat and processed foods increased your risk of developing cancer. People do not know how to safeguard themselves and their families from getting cancer. 40% of women expect to get breast cancer sometime in their life. This is horrible for women to think this is normal. The AICR reported in the world’s largest study on cancer that 1/3 of all cancers would be eliminated through diet and exercise alone. The Susan G. Komen Society received over 318 million dollars in 2013. 181 million dollars went to education. Has anyone heard mention of any ways to prevent cancer from them? Screenings are too late to be helpful because you have had the cancer for years prior to ever getting screened. I forgot mention that 2% of cancer is genetic. Your genes can mutate where there is interference in your body,and this is why we get cancer. Gene mutation due to Interference in our bodies, nervous system, immune system, hormone imbalance, toxic overload somewhere in the body, pH imbalance, EMF burden, poor oxygenation, nutritional imbalance, inflammation. The great news is we can affect all of these factors every day. Epigenetic is the study of how we can change our genes based on diet, exercise, lifestyle modification. We can turn cancer causing genes on and off, which is great news. Remember there is one cause of cancer and one cure for cancer - Interference. These steps are needed in combination to fight and kill cancerous cells. Feeling good isn’t good enough to keep you safe. Most people diagnosed with cancer had it for years before developing a symptom of cancer. You have to believe that you can control the destiny of your health. Your body has the ability to heal ALL things. If God tells us that if we tell the mountain to move and it will move, we most certainly have the ability to kill cancer. Don’t have a victim mentality.A positive attitude is crucial to a positive outcome. Sleep is important. Your body heals when you sleep, and the most important time to sleep is10PM-2AM. Nerves control every function of every cell in the human body. Chiropractic care is not just for pain control. Only 8% of the nerves in our body are responsible for pain, while the other 92% of nerves control the function of everything in our body. Nerve interference creates improper cellular function, hinder detoxification and compromises nerve function. The two body systems that are the most important to fight cancer are our nervous system and immune system (Super Systems), and they need to be maximized for best health. Both systems talk to each other to produce T and B cells, natural killer cells, leukocytes, ect…. Every time your spine shifts out of place, it puts pressure on the nerves which control the organs, lymphatic flow, circulation, cellular respiration. Making sure the skull properly sits on top of the spine, the pelvis is balanced, the autonomic and sympathetic are working properly are essential ingredients to killing cancer. Once this balance is accomplished, maintaining this balance is important for a lifetime. Remember, it's never early to get adjusted. Most of us know that eating poorly causes weight gain, but eating poorly also causes insulin insensitivity, hormone imbalance, bowel problems, thyroid dysfunction, poor cellular detoxification and cellular inflammation. Focus on eliminating sugar, bad fats, refined and chemical laden processed foods found in the standard American diet (SAD). Increase good fats and oils like those found in foods like coconut, avocado, flax, olive, hemp, nuts, seeds, salmon, mahi mahi. Increase good organic proteins like beef, wild caught fish, nuts, free range eggs, chicken, lamb, turkey. Avoid grains,especially refined grains, due to the spike in blood sugar and inflammation after consumption. The only allowable grain is sprouted grains, or stone ground grains which should be used sparingly. You can use coconut, almond and flax flour instead of conventional grains. AVOID acrylamide, artificial sweeteners, pesticides, GMO foods, soy, non-organic meats, non-organic vegetables. CANCER KILLERS: green tea, broccoli, seaweed, carrots, cabbage, cauliflower, dark leafy greens, organic meats, flax seeds, curcumin , cooked mushrooms, tomatoes, avocados, citrus fruits, berries, nuts. Supplement to take: High quality multi , Essential Fatty Acids, Vit D3, Probiotics, Proteolytic Enzymes. Too many to list but these are the basics. If you are not going to eat the cancer killers, you need to detox frequently because these chemicals will be in your body causing interference with your body's Godgiven abilities to heal. Poor diet and lack of exercise increased men’s risk of colon cancer by 60% and women’s risk by 40%. Out of shape individuals have a 300% increased risk of developing cancer. Most Americans do not breathe deeply due to weak diaphragm muscles. Cancer can’t live in an oxygenated environment. Performing intense weekly exercise programs has been shown in research to increase total body oxygenation, which in turn reduces risk of cancer. We live in the most toxic environment in the history of the world, and it is only getting worse. So what can we do about it? Limit your exposure to what toxins you can avoid. Plastics - Avoid drinking out of plastic water bottles, microwaving in plastic containers, drinking hot liquids out of Styrofoam cups, etc. Environmental - Benzene in exhaust, detergent, carpet, paint, building materials, jet fuel. Heavy Metal - In our mouths via old fillings, in our food, in our water, canned foods, most vaccines, industrial exhaust, cosmetics, and more. Personal Care Products- Limit your exposure to Diethanolamine, Sodium Lauryl Sulfate, Fluoride, Proplene Glycol. All are know carcinogens. As you can see, it is impossible to avoid many of these toxins which accumulate in your body. A very effective way to detox is to go on a fast. Fasting limits the amount of toxins coming into the body and maximizes the body’s ability to detox. A second effective way to detox is sweating. Your body detoxifies through pathways of excretion. Some pathways the body uses are through the skin, so sweating does detox petroleum products. The Budwig Protocol, Proteolytic Enzyme Therapy, Vit C IV therapy, IV Ozone therapy, Hyperthermia, Coffee Enemas, Ultraviolet Blood Irradiation Therapy, IV hydrogen Peroxide, Juicing, Hyperbaric oxygen therapy. [iv] Higginbotham, Susan and Zuo-Feng Zhang ”Dietary glycemic load and risk of colorectal cancer in women” Journal of the National Cancer Institute 2004 229-233. [viii] International Agency for research on cancer” Weight control and physical activity on cancer prevention” July 22,2009. [ix] Kennety P Cantor, Will D King” Total and specific fluid consumpton as determinates of bladder cancer risk” International Journal of Cancer, April 15 2006. 2040-47.